Our Tech Startup,Â DNetZone, has been featured in the print media today, 11/11/11, Indian Express and Financial Express are carrying logo of DNetZone along with the likes of Kingfisher, Nielsen, Snickers and more. We are the Technology Sponsor for Symbiosis Centre of Management and Human Resource Development‘sÂ 5th Marketing Conclave, one of the International Universities located in Pune, Maharashtra. 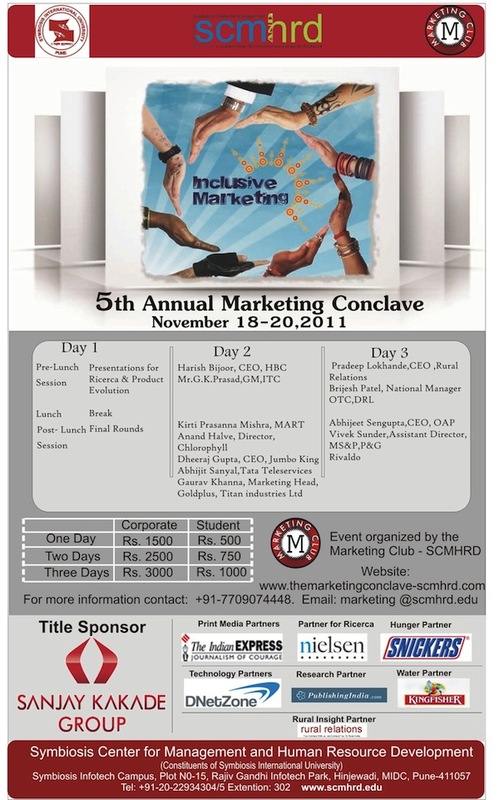 The Marketing Conclave 2011 is the 5th year of the Conclaves happening at SCMHRD, where Industry expect speak will be coming to share their ideas and experiences about Maketing, the theme this year is Inclusive Marketing. We are taking care of the event’s entire operations that will happen online, right from the website to Apps to Social Media marketing, along with the technological requirements which would be needed during the events. At, DNetZone, we are proud to be associated with the SCMHRDÂ and hope to the association is a long lasting one. [notification type=”alert”] The above is a PAN Maharashtra Ad, however, a PAN India Ad will be featured on Sunday 13th November 2011, make sure you buy your copy of that newspaper! We’ve again got featured in The Indian Express this time it isn’t only in Maharashtra but the Entire INDIA. 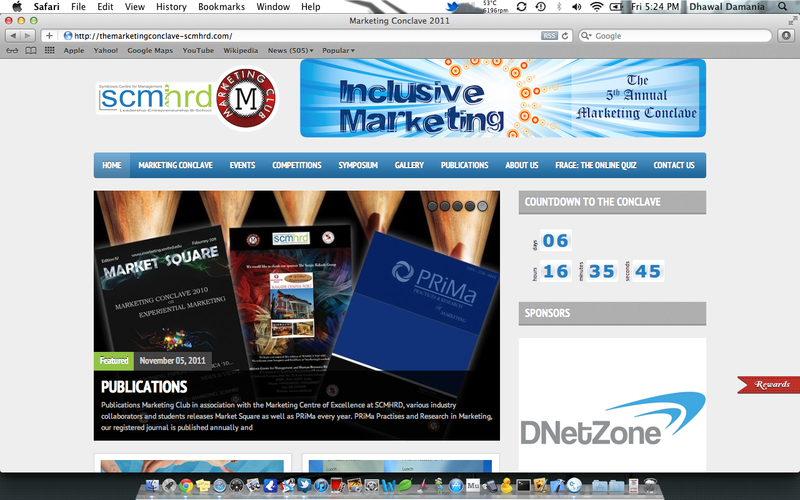 This entry was posted in Air5, DNetZone, Featured, Internet Services, Marketing, Searh Engine Marketing, Social Media Engagement, Social Media Marketing, Technology and tagged dnetzone scmhrd, indian express, marketing conclave 2011 dnetzone, marketing conclave 2011 symbiosis scmhrd, PRINT. Bookmark the permalink. Good to hear this great news!